It's audition time in Delaware ArtLand, folks! Here are a few auditions happening in and around the Wilmington area. Friendly Joining Process & No formal audition. Non-Singers & Volunteers welcome! Visit the RCD's website for more details, or send an email to the Artistic Director. Chrysalis, Youth Theater at the Wilmington Drama League, will hold auditions Monday, September 15, 2014, 4:30–6:30pm & Tuesday, September 16, 2014, 4:30–6:30pm for this Pillow Play that will run November 1-9, 2014 at WDL. Age range is 7 to 12 years old. Auditions are cold reading from the script. Get more information about our free Pillow Play shows by kids for kids. Auditions Sunday, September 14, 2014, 7:00–10:00pm & Tuesday, September 16, 2014, 7:00–10:00pm. Callbacks, if needed, will be on September 29, 2014, 1:00-4:00pm. All auditions will be at the Drama League. All roles are open, no appointments are necessary. It was 85 degrees at 10:00am, but that didn’t stop thousands of visitors from attending the annual event that is the Brandywine Arts Festival. 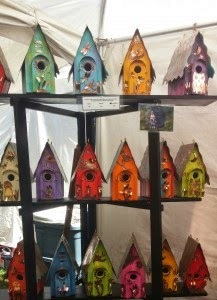 In Brandywine Park, at the bottom of Monkey Hill, over 250 artists put up tents and tables in order to showcase their unique talents. They come from different locations across the country, and so do the patrons who travel to the festival to find that perfect “one of a kind” item for their home, or that special gift for someone else. The variety of art is impressive. There are paintings, photographic works, sculptures, metal art, hand-crafted jewelry, personalized art, clothing, woodworking, blown glass, and so much more. Wine Barrel Designs offers one-of-a-kind furniture made from recycled wine barrels. Some items displayed were a bistro table with stools and a wine rack in the base, as well as a coffee table with a wine rack in the middle. Article originates from content borrowed from Delaware.gov. The full article can be seen here. 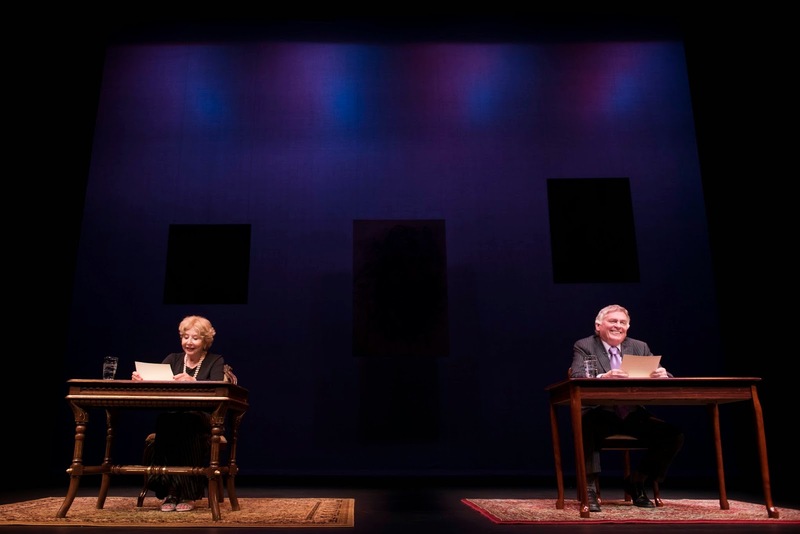 Governor Jack A. Markell will honor the recipients of the 2014 Governor’s Awards for the Arts at a presentation starting at 7:00 p.m. on Monday, October 6, 2014 at The Grand Opera House in Wilmington, Delaware. The event, co-chaired by First Lady Carla Markell and Delaware State Arts Council Chair Lise Monty, will include videos celebrating the work of the winners, as well as performances by two young professional Delaware musicians: 2014 Emerging Artist Fellow Matthew Smith (guitar) and 15-year-old Pyerce Lateef Oates (piano). The event is free and open to the public. RSVP required: delarts@state.de.us or 302.577.8278. The awards are being created by Milford, Delaware artist Michael Quattrociocchi, an award-winning wood craft artisan. 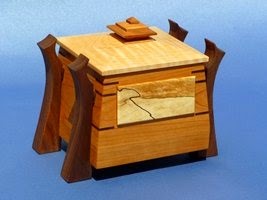 “Treasure Box” is an Asian design made of wood with applied panels on front and back. The front and back panels are made of spalted maple in a “Landscape” design reminiscent of the Delaware shore. Landscapes may be a shoreline with fog, marshland scene, or estuary.